Fluorescent confocal laser scanning microscope (CLSM) imaging has become popular in medical domain for the purpose of 3D information extraction. 3D information is extracted either by visual inspection or by automated techniques. Nonetheless, 3D information extraction from CLSM suffers from significant lateral intensity heterogeneity. 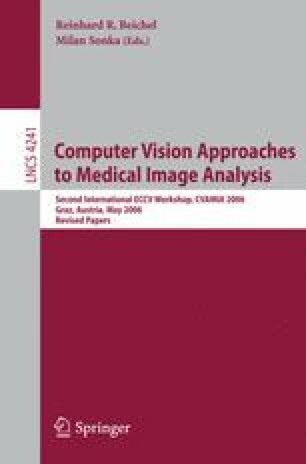 We propose a novel lateral intensity heterogeneity correction technique to improve accurate image analysis, e.g., quantitative analysis, segmentation, or visualization. The proposed technique is novel in terms of its design (spatially adaptive mean-weight filtering) and application (CLSM), as well as its properties and full automation. The key properties of the intensity correction techniques include adjustment of intensity heterogeneity, preservation of fine structural details, and enhancement of image contrast. The full automation is achieved by data-driven parameter optimization and introduction of several evaluation metrics. We evaluated the performance by comparing with three other techniques, four quality metrics, and two realistic synthetic images and one real CLSM image.